A Florida man is accused of rigging the front door of a home in an attempt to electrocute his estranged pregnant wife. 'This is one of the most bizarre domestic violence cases I have seen in my career,' said Flagler County Sheriff Rick Staly. 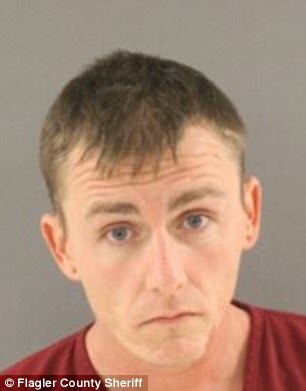 Michael Scott Wilson, 32, was arrested Thursday in Knoxville, Tennessee, and charged with attempted aggravated battery on a pregnant woman and grand theft of a firearm. 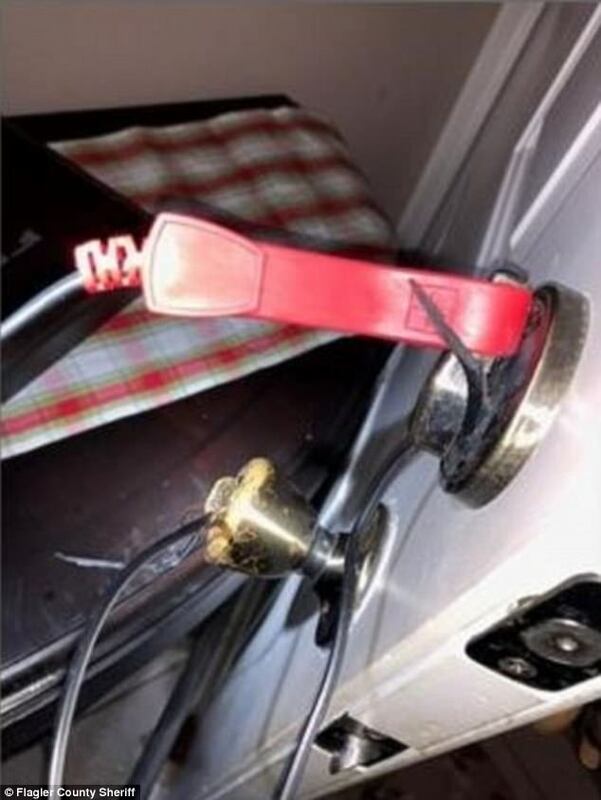 Police believe that he rigged electrical devices to the top door lock and lower door handle so it would electrocute whoever tried to unlock and open the front door. 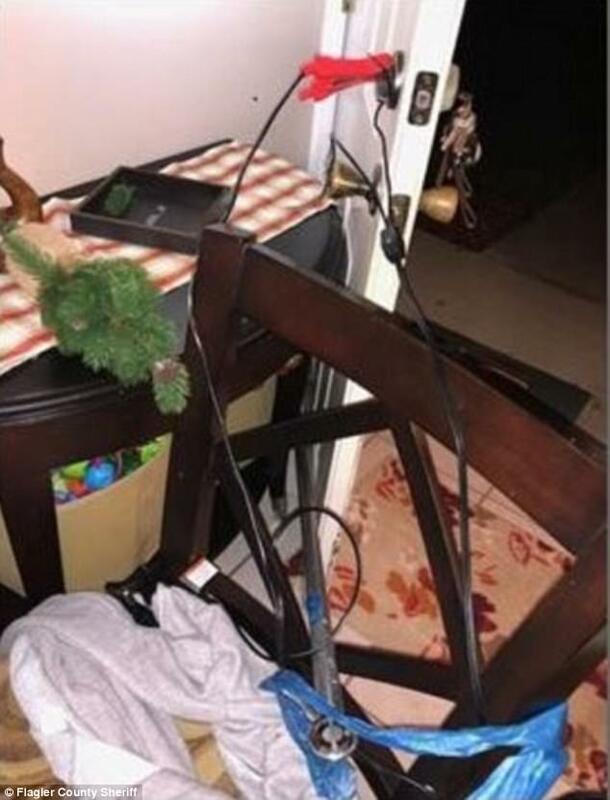 The rigging consisted of two chairs, a child’s high chair, blue tape, a shower-type rod, electrical cords, wiring and a car battery charger with clamps, according to the Daytona Beach News Journal. It could have caused serious bodily injury or even death. Wilson had also stolen a firearm belonging to his wife’s father from the house. He's being held on a $150,000 bond and will be extradited to Florida. It's unclear if he has an attorney. The woman's father called deputies after Wilson made suspicious statements about keeping children away from the door. Deputies found the front door barricaded, with burn marks. When a deputy kicked the door, a large spark was observed. Wilson had changed his Facebook relationship status to 'widowed'. Deputies also found pictures of a sonogram on the kitchen table, sticky-note love letters in the bedroom with a photo album showing Wilson and his wife together, and the wife’s recently-installed smart cameras dumped in the toilet. He was involuntarily hospitalized for mental evaluation in late November. In addition to the electric rigging, deputies found a series of strange items within the house: pictures of a sonogram on the kitchen table, sticky-note love letters in the bedroom with a photo album showing Wilson and his wife together, and the wife’s recently-installed smart cameras dumped in the toilet.An interview with Wilson’s wife, whose name is redacted throughout the report, shed light on the scene. She said that a few months ago her husband fell but he refused to seek medical treatment. She said Wilson didn’t return until about 4:30 p.m. Dec. 24, some 40 hours later. 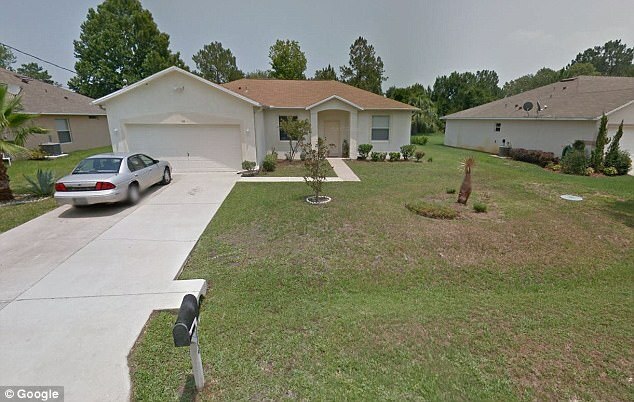 In that time, she received an alert on her phone that the smart cameras in the Palm Coast home were disconnected. Wilson also made comments that made her believe that he had visited the home during his absence, including inquiring about the location of the firearm and cameras. He also advised her “to use the front door of the home because the garage door isn’t going to open.”She told her stepfather about the comments and he checked the home before she returned to Florida.